Selected based on its experience renovating millions of feet of historic mills, Kaplan Construction provided extensive historic rehabilitation to transform two historic mill buildings into the Residences at Riverwalk. The new 105,000 SF complex contains 18 townhome units and 69 apartments and features historic windows, exposed restored brick, new HVAC system with exposed ductwork, and acoustic flooring. Kaplan shored or replaced more than 50 percent of both buildings’ structures, and 100 percent of one mill’s exterior to create the two-building apartment complex. Nominated to the National Register of Historic Places, the site is adjacent to the Powwow River in Amesbury, Mass., which was the premier center of wooden auto body manufacturing at the turn of the century. 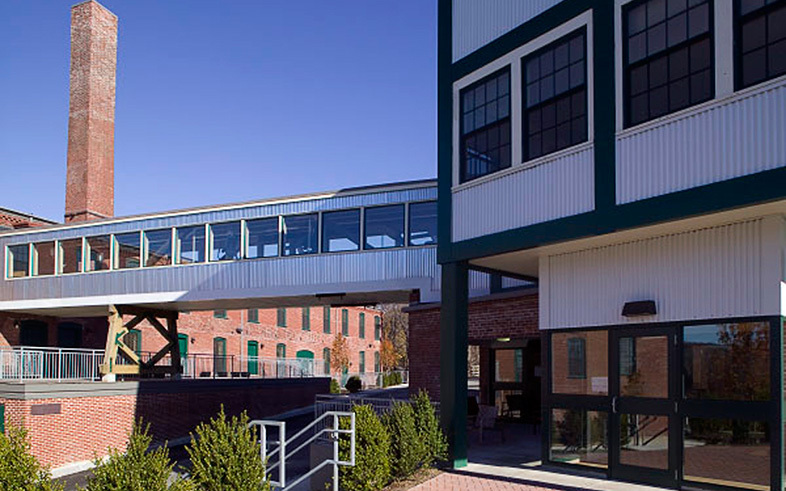 In 2008, the project was honored with Preservation Massachusetts’ Paul E. Tsongas Award.